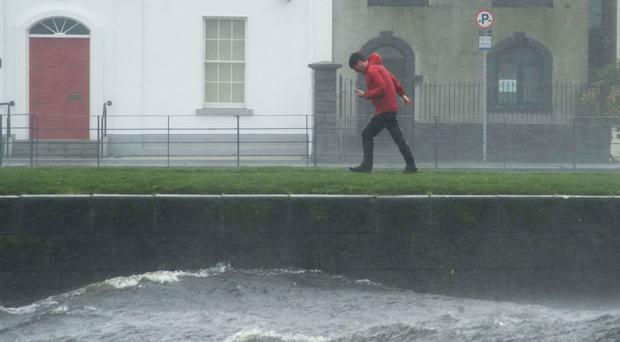 Met Éireann has issued a Status Yellow rainfall warning for three counties but wet and windy conditions are set to hit most counties over the coming week. Rain is set to become persistent on Wednesday and Thursday and temperatures dropping as low as -2 degrees, motorists are being urged to take care as frost and ice are expected to develop. The rainfall warning is in place for Wexford, Cork and Waterford from 3pm today until 3pm on Wednesday. Temperatures are expected to fall to between -1 and -2 degrees but will rise to between 3 to 6 degrees later in the week. Wednesday will see a wet start to the day with the rain being persistent and heavy for a time, especially in the south and southeast. Rain will become widespread on Thursday night, resulting in "possibly stormy conditions" as strong gales develop.